Looking for consumer proposal or personal bankruptcy services in Mississauga with a Licensed Insolvency Trustee near you? With a population of 668,549 as of the 2006 census, Mississauga has the distinction of being Canada’s sixth-most populous city, and has almost doubled in population in each of the last two decades. Due to its size, Mississauga is very diverse. 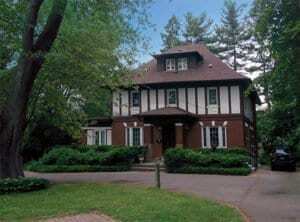 Many of the people we meet with in Mississauga come from all walks of life with various reasons for financial difficulty, be it marital breakdown, a job loss, business failure or just overspending. 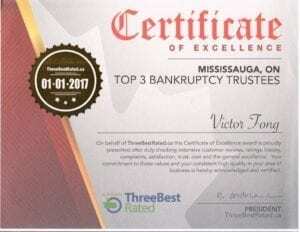 Fong and Partners Inc. is rated as one of the Top 3 Licensed Insolvency Trustees in Mississauga according to www.ThreeBestRated.ca., and is a recipient of the 2017 ThreeBestRated.ca Certificate of Excellence. Our Mississauga Ontario Licensed Insolvency Trustee office is located at 1370 Hurontario Street, just 2 blocks south of the QEW near Port Credit. When you first contact us, we’ll book you an appointment with our Mississauga Ontario Licensed Insolvency Trustee, Victor Fong. 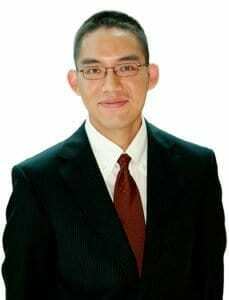 We’ll also inform you what information you should bring to your meeting with Victor at our Mississauga Ontario office.